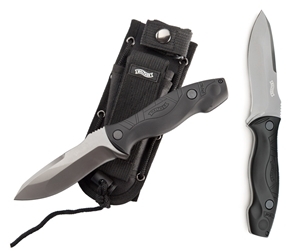 This simple and functional folding knife is thanks to the its rubberized grip surface comfortable in the hand and the risk of slipping is minimized. The knife stands uo to all your cutting needs in everyday life. Supplied with Nylon pouch with belt loop.